Enlarge / All this time! After more than a century of slicing tiny, inflamed organs from people’s guts, doctors have found that surgery may not be necessary after all—a simple course of antibiotics can be just as effective at treating appendicitis as going under the knife. The revelation comes from a large, randomized trial out of Finland, published Tuesday, September 25, in JAMA. Despite upending a long-held standard of care, the study’s finding is not entirely surprising; it follows several other randomized trials over the years that had carved out evidence that antibiotics alone can treat an acute appendicitis. Those studies, however, left some dangling questions, including if the antibiotics just improved the situation temporarily and if initial drug treatments left patients worse off later if they did need surgery. The new JAMA study, with its full, five-year follow-up, effectively cauterised those remaining issues. Nearly two-thirds of the patients randomly assigned in the study to get antibiotics for an uncomplicated appendicitis didn’t end up needing surgery in the follow-up time, the Finnish authors, based at the University of Turku, report. And those drug-treated patients that did end up getting an appendectomy later were not worse off for the delay in surgery. “This long-term follow-up supports the feasibility of antibiotic treatment alone as an alternative to surgery for uncomplicated acute appendicitis,” the authors conclude. The finding suggests that many appendicitis patients could be spared the risks of surgical procedures, such as infections. They may also be able to save money by not needing such an invasive procedure (although the study didn’t compare costs), and they could reap the benefits of shorter treatment and recovery times. Researchers will have to collect more data to back up those benefits, though. The patients ranged in age from 18 to 60 and enrolled in the trial between November 2009 and June 2012. Those who went under the knife stayed in the hospital for a median of three days, while the antibiotic-treated patients stayed in the hospital for three days to get intravenous drugs, which were then followed by seven days of oral antibiotics out of the hospital. A couple of patients were lost in follow-up, including one from an unrelated death, leaving 272 patients in the surgery group and 256 in the antibiotic group. In the antibiotic group, 70 patients ended up having surgery within the first year of the treatment. Within the subsequent five years, 30 others also underwent surgery. That left 156 antibiotic-treated patients, or about 61 percent, who were able to escape the scalpel. The authors think that percentage could be even higher in follow-up studies. They note that the decision to undergo surgery after the initial randomization was entirely up to the patients’ treating surgeons—most of whom weren’t involved in the trial and some of whom were skeptical of the idea that antibiotics alone could treat appendicitis. This fact, the authors note, could have artificially inflated the number of people who ended up getting an appendectomy. They point out that seven of the 100 antibiotic-treated patients who underwent surgery didn’t actually have evidence of appendicitis at the time of their surgery, based on their medical records. Still, going with antibiotics first meant fewer complications and faster recoveries overall. The antibiotic group had a complication rate of 6.5 percent, whereas those assigned to surgery had a rate of 24 percent, mostly due to infections. Of the 100 antibiotic-treated patients who later had surgery, they had typical complication rates for the procedure. 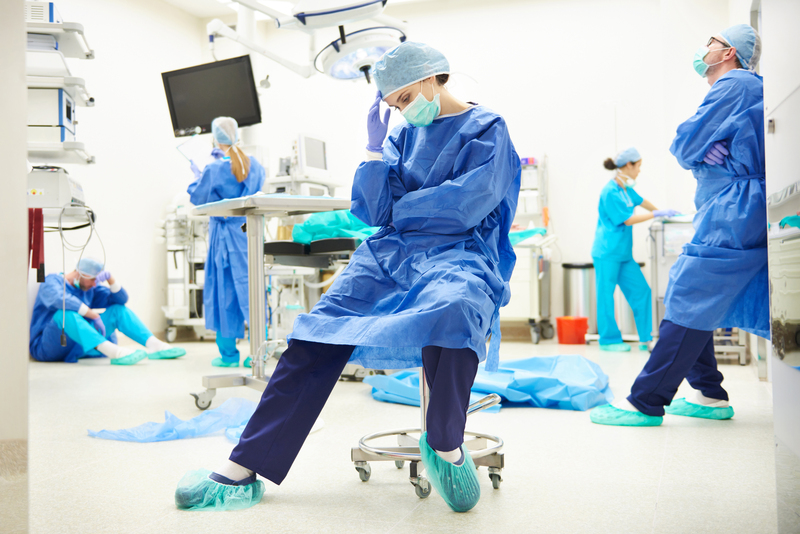 This suggests that delaying the surgery for this group didn’t lead to more problems. Complications or not, the antibiotic group overall took a median of 11 days of sick leave to recover, while the surgery group took 22 days. There were a couple of catches to the study that warrant follow-up. One big issue is that the study compared antibiotic treatment to standard, open surgery—not a more modern, minimally invasive laparoscopic surgery, which is now common in the US. If this had been the standard of care in the surgery group for this study, it might have shifted the cost-benefit scales, potentially reducing complication rates and recovery times. That said, the authors note that the antibiotic treatment was also heavy-handed in the study. The researchers went with a “conservative” three-day IV treatment followed by more oral antibiotics, which may have been overkill. They did this because “[w]hen this protocol was designed, there was little information available to guide the application of antibiotic treatment for appendicitis,” they note. Future studies could find that shorter, less intense courses of antibiotics could also do the trick, further reducing complication rates and treatment time. Last, the study didn’t compare costs of the interventions or the bills that would have been incurred by those in the two treatment groups. This will be another question to address in follow-up studies as doctors fine-tune the best way to handle appendicitis after all these years. JAMA, 2018. DOI: 10.1001/jama.2018.13201 (About DOIs). Previous article Can Too Much Screen Time Dumb Down Your Kid?